This Google Maps mashup is a joint project from The Nature Conservancy, The University of Washington and The University of Southern Mississippi. 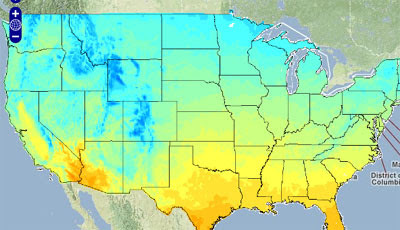 The Climate Wizard allows users to view historic temperature and rainfall maps for the USA, view future predictions of temperature and rainfall in the USA and view and download climate change maps. Data for the rest of the world will be added to the map soon. The wizard shows data for the past 50 years and shows predictions for 2050 and 2100 under different futures climate models and scenarios. Google have added public transit directions for Wellington in New Zealand. Wellington is the first city in New Zealand to be given transit directions (you can bet it won't be the last). Google Maps have worked with Wellington's Metlink to provide information across trains, buses, cable cars and ferries in the city. 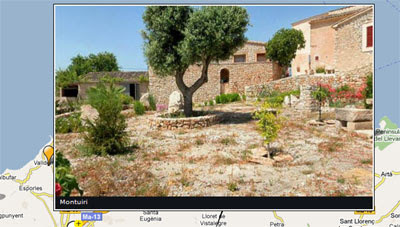 Mallorca 360 is a Google Map of the Spanish island of Mallorca. The map shows hotels, golf courses, beaches and a number of 360 degree panoramic photographs. The categories of map marker can be selected from the map sidebar. The hotel map markers open to reveal a number of photos of the hotel, a detailed description and a link to book a room. It is possible to view the panoramic images directly on the map. Comilus is a Spanish language map for finding nearby restaurants, bars, hotels, cinemas and shops. To find nearby points of interest just enter your location and the range within which you want to search and your results are returned on the map. The map can auto-detect your current location and automatically load nearby points of interest. This means the site is ideal for use from a mobile phone and Comilus do provide a mobile version of the map. 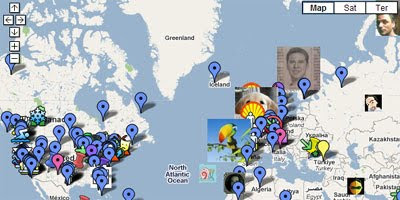 Gasofa is a Spanish website that displays the cheapest gas service stations on a Google Map. The site also includes Google Maps mashups that show police radar locations, dangerous stretches of road in Spain and speed trap cameras. It is possible to search the map by region or search for gas stations near a specific address. Misas uses Google Maps to show the location of churches in Spain. It is possible to search the map by address. The map markers include links to the times of service for each church. This Google Map seems to show the location of 'picaderos' in Spain. Picaderos are places where certain Spanish individuals go to get 'intimate' in their cars. It is possible to search the map by address and it is possible to add 'picaderos' to the map. You can even add comments if you are that way inclined. This Google Map geotags sketches of locations in Madrid. The sketches can be viewed directly on the map by clicking on the walking man shaped map markers. The Station Fire in California, which broke out on Wednesday, has forced the evacuation of 4,000 homes. The fires have spread quickly and have moved towards La Cañada. Google have now produced a California Wildfires information page. The page includes the LA Times Map (below), the latest status updates from the US Forest Service and links to videos of the fire. 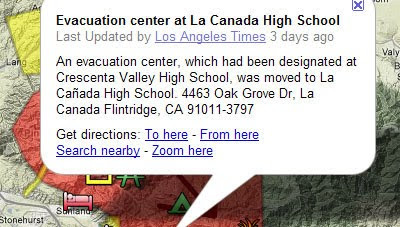 The LA Times has a fairly detailed Google MyMap of the fire. The map shows the perimeter of the fire and also shows the location of evacuation centers. The LA Times also has a useful list of road closures. Doc Searles has created a number of overlays for Google Earth with data from MODIS and has uploaded images of the maps to Flickr. 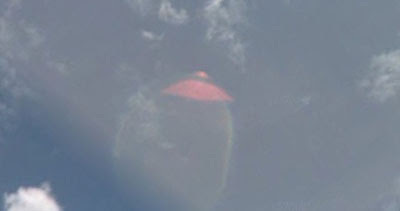 You can read more about viewing MODIS overlays of the fire on Google Earth on the Google Earth Blog. InceWeb show a Google Map of the affected area of the Station Fire and, more importantly, has detailed information about the fire. The information includes details about evacuation areas. Inciweb also has a Twitter feed that lets you follow the site's updates. The Enplan Wildfire Viewer is a Google Maps mashup that shows the locations of Californian wildfires. All fire information on the map is updated hourly. Fires are shown where MODIS satellites have detected heat from wildfires, prescribed or agricultural burning, and other fires. 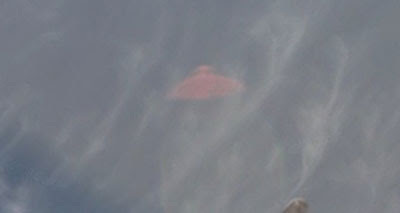 Clicking on a fire marker reveals the date and time of detection of the fire. This Google Map shows fires reported to the California Emergency Management Agency. The map is currently displaying the Station fire. Calema have now also released Google Earth files for the Station Fire and the 49 Fire. The Webcams Travel Google Map of the area has two webcams that currently show the fire. 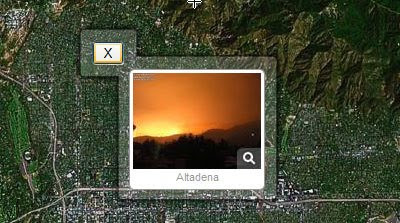 The webcams for Mount Wilson and Altadena are currently showing images of the fire. 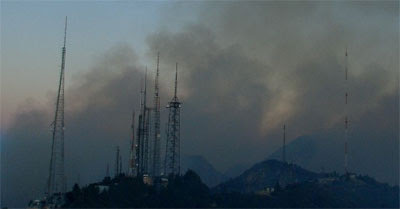 The website of the 105 year Mount Wilson Observatory are posting updates about the fire's threat to the observatory. 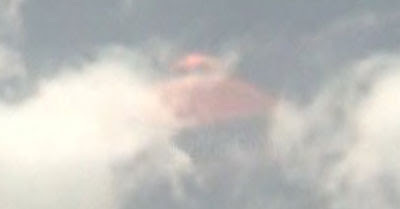 Their 150 foot Solar Tower webcam is also showing images of the fire. The Observatory is where Hubble discovered that the universe is expanding and therefore led others to prove the big bang. DigitalGlobe have released satellite imagery of the fire taken on 31st August. These are 60 centimeter (2 foot) and 2.4 m QuickBird satellite images featuring Station Fire damage to the Sunland neighborhood and surrounding areas of Los Angeles. NASA have now also released satellite imagery of the fire. The Pasadena Star News have created a Google Map showing the approximate perimeter of the fire. Wayne Leeming created this time-lapse video of the Station Fire from Friday night. Tomorrow the world's largest running event, the DHL Stafetten, will begin in Copenhagen. During the race 125,000 people, in teams of five, will run relays of 5 km each over five days. 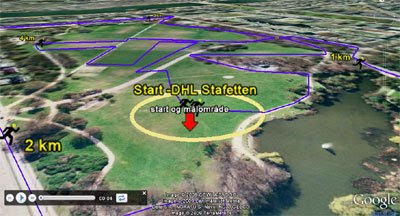 Soren Johannessen has created a Google Earth plugin tour of the course of the DHL Stafetten. The tour provides a flyover of the course from start to finish. The tour features markers at ever kilometre on the course and even has a soundtrack. Soren has created a gadget of the tour so it is possible to embed the course in your own website or blog. You can grab the code for the gadget here. It is also possible to download a kml of the track and view it in Google Earth. Elaboratorium is a Google Maps mashup that can search and show the location of jobs from Indeed.com. It is possible to search the Indeed.com database by job title and location and the results are shown on a Google Map. Results from searches are also shown under the map and are sorted by submission date. The returned map markers provide a link to the found job on Indeed.com. Where to Find Work is also a Google Maps mashup that can search and show the location of jobs from Indeed.com. The mashup was created by nocarb.net. It is possible to refine a search for jobs by job title and location. Results of searches are shown on the map and the results for each city are also ranked by count for that job query in the map sidebar. 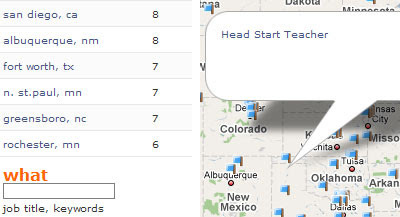 If you click on one of the returned map markers an information window opens with a link to that job on Indeed.com. 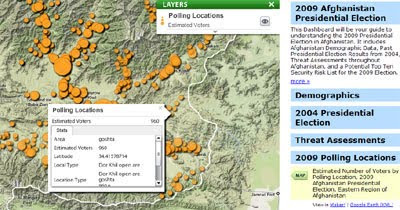 The Geocommons 2009 Afghanistan Presidential Election map has been updated once again. The map now shows a heat map of the actual results. On the map regions that have voted predominately for Hamed Karzai are shown in red and areas that have voted predominately for Dr Abdullah Abdullah are shown in blue. Clicking on any of the shaded regions will open an information window with a more detailed breakdown of the election results. CBCNews.ca say that the "conventional wisdom has been that Karzai, a Pashtun (the largest ethnic group in Afghanistan), would prevail in the southern region whereas Abdullah, who is of mixed Pashtun-Tajik heritage, has greater strength in the more peaceable north." Using the Geocommons map it is possible to examine the demographics of the different districts in Afghanistan to see how far voting has broken down along ethnic lines. 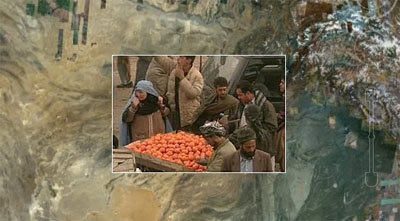 CBCNews.ca have created an informative Google Earth tour of Afghanistan. The narrated tour provides an interesting overview of the country's geography, history and the current situation. The tour includes photo overlays and some informative background, particularly about Kabul, Herat, Helmand and Kandahar. To watch the tour you have to have downloaded the Google Earth browser plugin. The BBC, in collaboration with Natural England, have created a breathing places event finder. The Google Map, produced in support of the project, displays 8,253 locations and events across the UK that people can go to enjoy the great outdoors. It is possible to search the map by location. It is also possible to refine your search (via a drop down menu) for events in the next week, events in the next month and by walks in the next week or month. 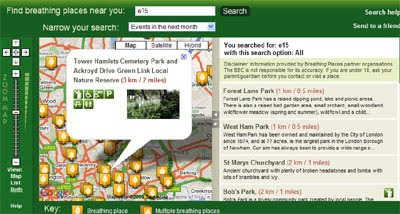 The BBC are also planning to launch soon a Breathing Places - Communities map. Over 50 councils around the UK have pledged to plant trees, hold events, build wildlife homes, and share the Breathing Places message with thousands of people in both urban and rural communities. The BBC's Breathing Spaces - Communities map plans to show the location of these pledges. Presselite, the company that earlier this week released an augmented reality application for the Paris Metro, has today released a London tube and bus iPhone application. 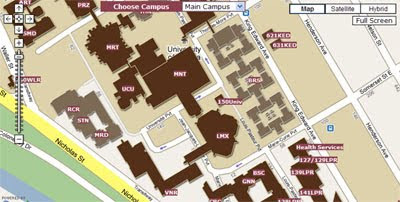 Using the application it is possible to find nearby points of interest, wi-fi zones and cafes on a Google Map. It is also possible to locate the nearest stations from your position on a Google Map within the application. Each station is represented by a red pin, a popup shows you the distance of localisation for each station, and it is updated live via GPS as you walk. The eye-grabbing feature however is the augmented reality view that lets you find the nearest bus-stops and POI's. Unfortunately the presentation video (below) has some serious reflection problems but it is just about possible to see the augmented reality feature in action. Google Maps' newish Street View feature with Panoramio photos has not yet been added to the Google Maps API. However because Street View is in essence a Flash file it is possible to embed the Flash code for the Street View with Panoramio into your own website. I've created a map, Panoramio Embed, that will allow you to get the embed code for a particular Street View by just placing the map marker in the required location. Once you have found a Street View you like all you need to do is cut and paste the embed code. Google have started adding interactive markers to businesses in Street View. Now when you search for a business in Google Maps and you then view it in Google Maps a Street View link will appear. When you click on the Street View the Street View image will contain an interactive map marker that will open an information window within the Street View itself. Pachube is a service that enables users to connect, tag and share real time sensor data from objects, devices, buildings and environments around the world. The key aim of the site is to facilitate interaction between remote environments, both physical and virtual. 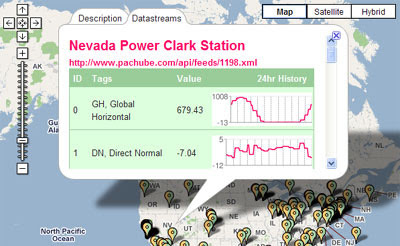 The home page of Pachube features a large Google Map that displays live data feeds from a number of objects and devices around the world. The data feeds vary from weather stations, air quality sensors to domestic monitoring devices. Panedia have created a virtual tour of the home of the Melbourne Grand Prix. The tour consists of a large number of 360 degree panoramic photographs and 800mb of custom map tiles. The panoramas are divided into two categories, 'Grandstands' and 'Corporate Facilities', the markers for which can be loaded via a drop down menu. Just as impressive as the interactive panoramas is the custom satellite imagery. The map button let's you view custom satellite imagery taken on the actual day of the Grand Prix. For example, in the image above you can see a number of temporary constructions behind the main stand. 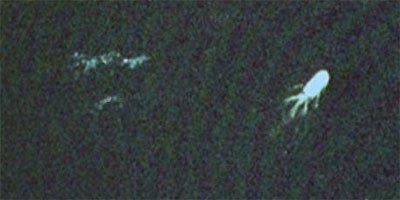 On the normal Google Maps satellite imagery that is just an empty field. As we seem to be developing a bit of a car theme on Google Maps Mania today, you might also be interested in this Wired article looking at the famous car chase scene in the film Bullitt. 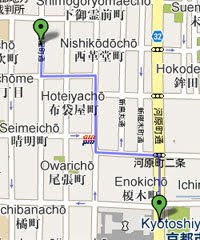 The article examines the route of the chase using Google Maps. Once you have read the article be sure to check out the video of the chase synchronised to a Google Map at Seero. 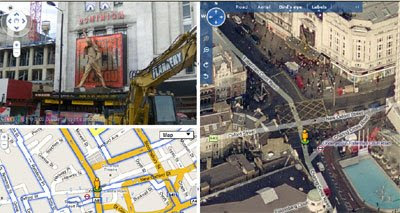 Vidmap is a very cool Google Maps mashup that enables anyone to create a Google Map that tracks the action in a video. Press play on the video below and you'll get a good idea of what is capable with Vidmap. The example above is a video map of Michael Schumacher's pole lap in the 2003 Monza Grand Prix. Vidmap has many other examples of maps that geographically track the action in an accompanying video. Even better Vidmap lets you create your own maps from your own videos. Unfortunately for The Sun a Google spokeswoman later announced that the lines were the result of the sonar used by boats to map the ocean floor. 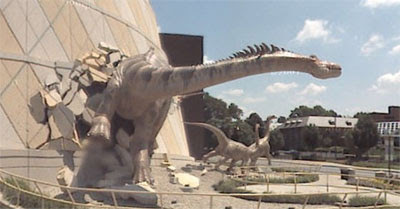 If you still insist on keeping hold of your rational disbelief then I'd like to hear your explanation for this amazing Street View of a time travelling dinosaur in Indianapolis. Paths can be specified as encoded polylines. Paths can be filled and rendered as polygons. Locations (in center, markers, or path parameters) can now be specified as addresses instead of latitude/longitude coordinates. Colors can now be specified as any 24-bit or 32-bit color. If you want to use the new Static Maps API the developer guide is essential reading. Or if you want to cheat, you can just use the new Static Maps v2 Wizard. If you are a Danish speaker Søren Johannessen has created a Danish language version of the wizard called the Dansk Google Static Maps v2 Generator. For the more technically minded, Mapperz has a really good review of the new Static Maps API. The review includes tips on creating polygons and creating a static map from a Google My Map. GoogleMapsDev are one of the most experienced Google Maps creation teams. They have been producing exciting Google Maps mashups for a number of years and have even made a map mashup for the President of the United States. The team have been kind enough to answer some questions put to them by Google Maps Mania, about their experiences of using Google Maps and what they think the future might hold for on-line mapping. Q. How long have GoogleMapsDev been making Google Maps mashups (for example, can you remember the first map the team produced)? 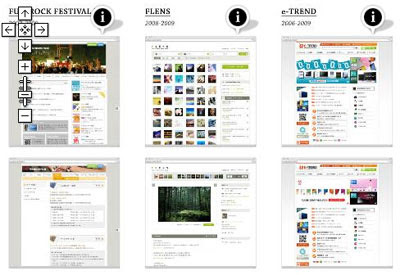 A.The first map that our team created was findbyclick back in March 2006. The whole idea behind that map was to create a destination for people to come together and share points of interest. In August of that year we then released it for the mobile phone. Q. Have you got any favourite maps that GoogleMapsDev have created or that you are particularly proud of? A. We’re proud of all of them, but if we had to choose a few we would start with the maps we built for the Obama Democratic National Convention and Inauguration. You can read more about it here: (http://www.googlemapsdev.com/2009/05/real-time-obama/) To think that it was put up on the JumboTron at Mile High Stadium for 60,000 attendees to see! Q. How did you first get to work with President Obama on a mapping project? A. It came about in part due to our relationship within the Google Enterprise Channel, as well as the other mapping work we had done with Google. They gave us a 12 day timeline and they knew we could deliver it in time. Q. Your team has been involved in Google Maps mashup development almost from the outset of Google maps. What would you say have been the major developments in online mapping in that time? A. Many of us remember MapQuest, with the single star on a static map. Look how far we have come. Businesses are using information from their enterprise silos, extracting location components and displaying on a map (http://www.google.com/enterprise/earthmaps/customers.html) This is very powerful considering the above use cases are a sign that Google is entering a world previously controlled by ESRI. Q. Going forward, how do you see the future of online mapping and are there any current developments that GoogleMapsDev are particularly excited about? A. One thing we’re excited about is we built this product SpatialDataBox that allows for a very economical way to manage the visualization of millions of points. We’re now using it for two of our clients within the business intelligence field. Mashups will also target mobile devices and grow on these platforms faster than they did on our desktops because of the extra dimension of real-time location. Roz Savage is attempting to become the first woman to row solo across the Pacific. Back in May we reported on Roz's excellent Google Maps mashup that is tracking her progress. Now 93 days, 2,679 miles and 1 million oar strokes later it seems like a good time for an update. As well as rowing for around 16 hours a day Roz is keeping up a steady stream of Twitter and blog updates, all of which are accessible from map markers on the map. 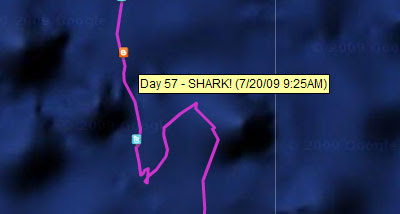 The map also shows the track of Roz's journey so far. Roz's is now entering the final 500 nautical miles before she reaches her goal of Tuvalu. So at her present speed of about 29 miles a day she has at least another 19 days to go. It makes me exhausted just thinking about it. I think I'm going to have a lie down now. Google have today added traffic conditions on arterial roads in selected cities on Google Maps. This could prove very handy during rush hour when the highways are jammed. 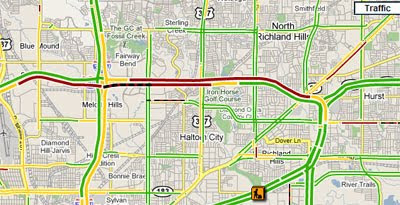 To view arterial traffic conditions use the traffic button at the top right of Google Maps. When you are zoomed out Google Maps shows the traffic conditions on highways, but as you zoom in on an area in major cities traffic conditions will now show up on other roads. AmnestyUK are currently running a campaign called Make Shell Come Clean. The campaign's aim is to get Shell to clean up the decades of pollution they have been responsible for in the Niger Delta. There have been 5,000 major oil spills in the Delta in the last five years. If you want to know more about the effect of this pollution on the lives of those who live there, Lars Johansson has made an excellent documentary about the subject (below) called Poison Fire. AmnestyUK's campaign aims to target Shell on Google Maps, turning Shell stations into ‘hell stations’ to publicly highlight the damage Shell is doing in the Niger Delta. The idea is for individuals to take photographs of Shell's gas stations with the 's' in Shell's name obscured and then post the photographs to a Google Map. The campaign isn't quite working as planned. Although a lot of people have already added their names to the map, at the moment there seems to be only one uploaded photograph. I guess Amnesty would argue that the names added to the map, although not the asked for photographs, clearly show people's support for their campaign. In the UK, Google partnered with VisitBritain to hold a public vote for where Britain's would like the Street View trike to visit this summer. A similar competition was also held in the Netherlands. Now it is France's turn. Google have teamed up with Asset France (the French Tourist Development Agency) to ask people to suggest locations that the Google Street View trike should visit this summer. If you have a suggestion you can make it here. Using an application, like CASA's Image Cutter or the Automatic Tile Cutter, you can create your own map tiles for Google Maps. 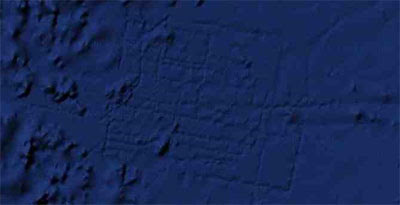 It is therefore possible to replace Google Maps tiles with other maps. Among the first to take advantage of this were game fans, producing maps for World of Warcraft and Grand Theft Auto. Graphic designers and artists, however, soon woke up to the fact that the Google Maps interface is a great way to present a design portfolio. 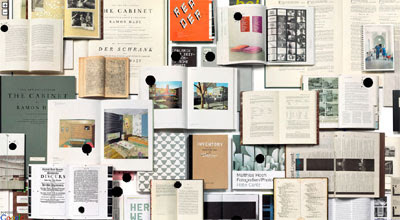 All you need to do is create map tiles from a collage of work. The Google Maps' navigation tools can then be used to zoom in on designs and map markers to provide further information about an individual work. German book designer Marcus Dressen has created a Google Maps mashup of his designs. The mashup replaces the Google Maps tiles with map tiles showing Dressen's cover work. Dressen also uses map markers, shaped like ink blots, to provide information about each of his designs. 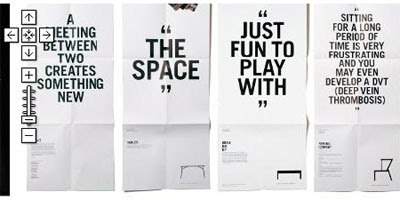 Blaubo Design have stitched together shots of a number of their website designs and created map tiles from the image. Stas has has also produced a menu, with links that open information windows above some of the designs. The acadamie has also done some impressive programming (with jquery I think) to overlay text links on each of the student's work. Clicking on any of the links loads information about the art work directly onto the map, . Graphic designer Kalle Hagman has created a Google Map of his art work. When the page first loads the map is zoomed in on an image of Kalle's business card. 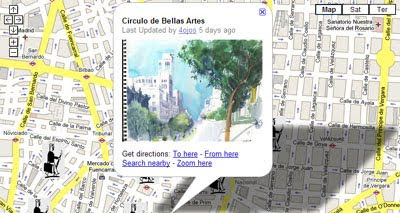 The user can then use the Google Maps navigation tools to zoom in and examine in close up any of Kalle's featured work. LocaleTrends uses heat maps to present a detailed view of important housing, education, employment and demographic trends in distinct geographic areas in the USA. The site has a number of Google Maps for each state or you can select regions within each state. For each area it is possible to view heat maps showing real estate data, public school test scores, demographics and employment data. The home page shows the most viewed maps on the site and you can navigate to distinct areas via two drop down menus. Paris Metro is an augmented reality and mapping application for the iPhone and iPod Touch. The application is a guide to the Paris metro, a route finder and a hell of a lot more. The video below (in French) shows how the augmented reality function can be used to find the nearest Metro station and other points of interest. The application is fully integrated with Google Maps. It is possible to locate the nearest stations at any time directly from the Google Map. Each station is represented by red map markers and distances are updated in real time via GPS. There is a lot more to this application, such as Paris bus routes, nearest restaurants POI, cafes, bakeries etc but I guess it is the augmented reality function that really catches the eye. Worldsaurus is a new travel guide that makes extensive use of Google Maps. The project aims to create a worldwide travel guide created entirely by users. Users can write about things to do, attractions, itineraries and reviews of locations around the world. Each location gets its own dedicated Google Map showing local points of interest. Locations are shown on the map by a small thumbnail image. Clicking on the image reveals a short introduction to the location and a link to a dedicated page about that location. Each dedicated page contains a Google Map, images from Flickr and a more detailed description about the location. Panoramablog has produced a Google Map of 360 degree panoramic photos. Currently the site has around 170 panoramas mapped, mainly of photos taken in Europe. The map markers contain thumbnail images of the panoramas but it isn't possible to view the panoramas directly from the map. To view the panorama just click on the thumbnail image and you will be taken to another page containing the interactive image. The map was created using the Map Channels mapping tools. 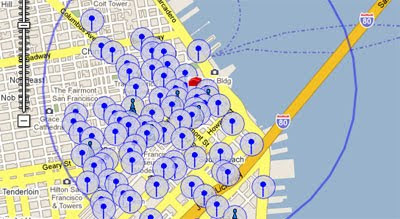 AntennaSearch has mapped over 1.9 million US towers and antennas. The database covers the entire US and it's territories. It is possible to search the database by address and view the results on a Google Map. The map provides detailed information for each tower and antenna, such as location, ownership and contact information. 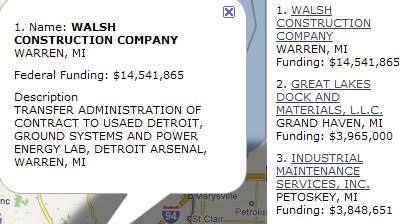 AntennaSearch also detects newly filed (or pending) tower applications. Who in your state is a major recipient of "Recovery Act" money? The answer is in this Google Maps Mashup that shows who has received recovery money in each state in the US. So if you wanted to view New York state instead you just replace the 'mi' at the end with 'ny'. You can also embed the map in your website by cutting and pasting a short piece of code. In Athens several thousand residents in the city's northern suburbs have been forced to leave their homes because of a number of wildfires threatening the Greek capital. An area over 50km wide has been affected by the fires. 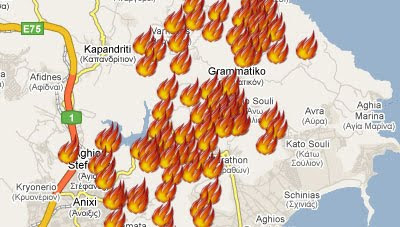 This Google Map uses data from MODIS to show the fires that have been active in the last 24 hours. Clicking on a fire map marker reveals details about the exact latitude and longitude of the fire and when the fire data was added to MODIS. The map was created by Spiros Vathis. Spiros has written a brief article about how he was able to quickly create this Google Maps mashup, which he says has had over 3,000 hits in less than a day. 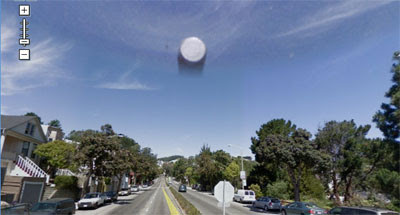 This is a very imaginative little application which produces a wall of random Street View images. The application randomises the latitude and longitude (within set boundaries) and then shows a wall of Street Views from that location. I think all the Street Views are random views of Tokyo, Japan. However, having a look at the html code, it should be easy to change the boundaries of the random latitude and longitudes to create something similar for any town with Street View imagery. The application outputs the thumbnail image rather than the Street View itself (probably because the browser would struggle to display this many actual Street Views). Geocommons have updated their Afghanistan presidential elections map to include the early and unverified partial results of the 2009 election. The map also contains layers to explore the demographics of the Pashtun and Tajik populations, view threat assessments by province, view the 2009 polling locations and view locations of election day violence.